With all these remakes we’re eventually going to get to the point where we have more of them than new games. At least with this one though, it was widely requested, largely due to this popular JRPG being stuck on the Xbox 360, a system most role-playing fans or people without the monetary means to replace their system half a dozen times avoided like the plague. At the time, I considered this game, and this game alone, reason enough to buy that steaming hunk of junk, and luckily my brick didn’t become a brick until I’d gotten through this diamond. On the PS4 and PC, this may be the first chance a lot of people have, so rather than the reaction being ‘oh god not another one’ this is more of an ‘about time’. 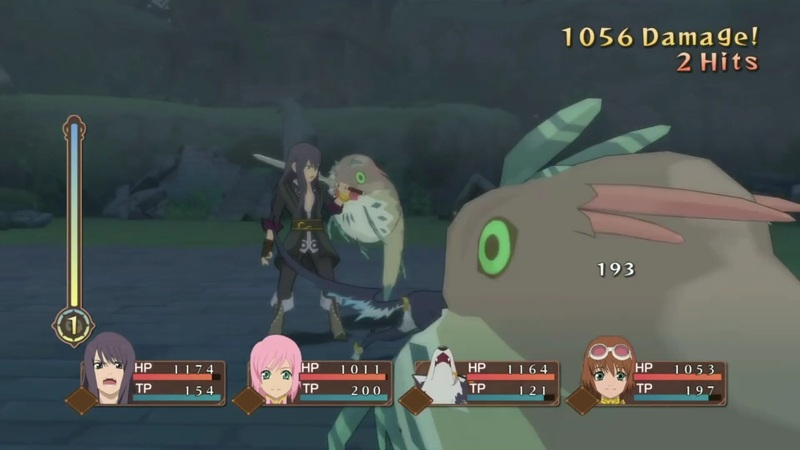 The Tales series long made itself diverse from other JRPGs by having an active battle system, one which slowly went from 2D to 3D, with Vesperia taking the hybrid Symphonia offered and working out all the kinks. At first, this may be difficult to notice, if the game has a flaw it is how stiff combat feels at first. The explanation for why is rather swift though, as every weapon you get in the game contains skills you learn which affect mobility, power and utility. Luckily, you do get vital abilities such as back step, the ability to recover swiftly from being knocked down and stagger resistance early on. Combat becomes more and more fluid, which is one of the things that made this game so unique at the time- you weren’t just getting stronger spells and dealing more damage, you actually felt like a better fighter as you gained experience. While this may feel like an obvious progression now, at the time it was almost in existent, and many other games were experimenting with this at the time to various degrees of success – Oblivion, Mass Effect, Demon Souls. These were games that wanted to show that there could be more to an RPG than rolling dice, and wanted to make it feel satisfying at the same time. While the game doesn’t feel quite as fluid as Zesteria or Berseria, it handles well and your ability to customize skills and free run give you full control. With nine playable characters, it appeals to a wide range of fighting styles that mix magic, combos and finishers, and any two players could have distinctly different parties. At 50+ hours for the main story, and easily 30 additional for side quest and up to 200 hours for completionists having a solid combat system is of course absolutely necessary. 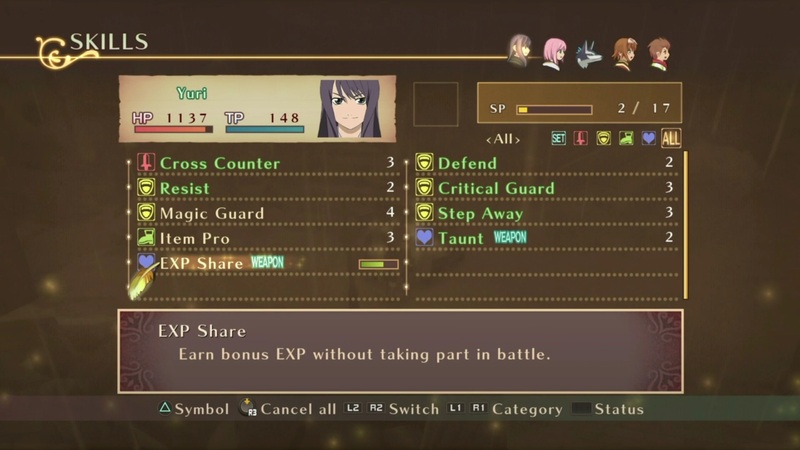 I had felt playing Symphonia’s remake that the combat didn’t age overly well, but Vesperia’s is refined enough that it’s still just as enjoyable as it was a decade ago. Normally I wouldn’t spend so much time on controls and gameplay, especially for an RPG, but in this case despite the praise it is the closest thing to a flaw I could find in this game. through it without knowing they weren’t there the first time the game came out, you probably wouldn’t even know. 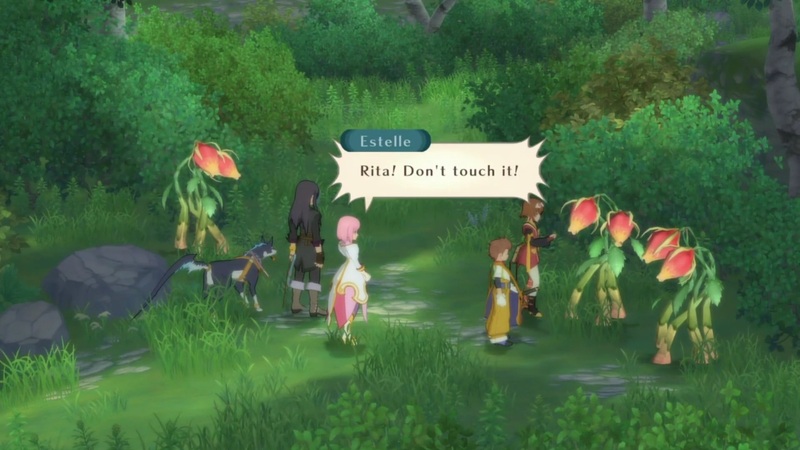 While it does keep many elements of JRPGs, and particularly tales games, one very important difference made this game stand out at the time, and even now it’s still fairly unique. The main character is an antihero, rather than an obnoxious goody or whiny brat- and he’s thankfully not the brooding, angry antihero. There is a typical hero, and a snotty kid but as supporting cast rather than the main focus their roles act as a solid foil, and overall the team is both well rounded and likeable, interacting in humourous ways when needed and helping each other grow and overcome external and internal obstacles in more serious times. The game even still looks beautiful, with crisp animations, vibrant settings and models that will always look good. Sometimes we try a game a decade later to find we were looking at it with rose tinted glasses, or that it has aged very poorly and I wonder why I bothered getting the remake, but this is absolutely not the case. So who would I recommend this game to? 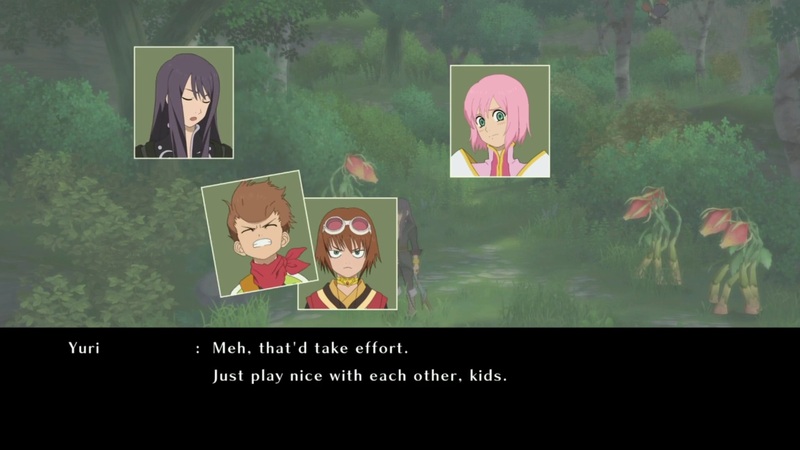 Anyone who enjoys JRPGs, Vesperia has aged so well, a testament to how much it got right in a changing era.